A place for poetry exchange and art meandering. What kind of poetry do you like--political, narrative, lyrical, slam, personal, none, don't care, just-want-a-conversation? Well, Jena Kirkpatrick is an all-around treat of a wordsmith and conversationalist no matter what style of poetry you may or may not be into. Though, if you are reading this and/or listening to the podcast, chances are you do like poetry. As we discuss, poetry is not just poetry for poetry's sake, but as most art forms, is the essence beyond it's own bounds. Jena's outlook on poetry and what it means to be human reflects in her daily work as a poetry instructor and poet for hire within the Austin community. Listen with us in your car, at home, at work or wherever. Leave a comment or two. Rate on iTunes. Join the conversation. Write a poem. As Jena says, "writer's block is a myth." Sharing stories is human nature and I'm so happy to be sharing this lovely lady's story with you. As an instructor with Badgerdog Literary Publishing, Jena works in schools teaching creative writing to be submitted for publication in the anthology Rise. 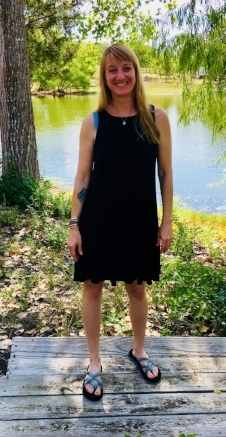 She is also a creative writing instructor for The Boys and Girls Clubs of Central Texas, editor and publisher of the poetry anthology Writing for Positive Change. Over the last two decades, Jena has self-published seven books; co-written, directed and produced three multi-media performance art pieces; and competed in two National Poetry Slam competitions. Regie Gibson, Timothy Mason and Jena are the Trio of Poets who recently opened for music icon Leon Russell. In January 2011, Jena released her first poetry and music compilation CD, Dangerous Snakes, featuring 20 years of poems accompanied by a variety of Austin’s most talented jazz, singer/songwriter and pop musicians. The rest is only hearsay.